Cushman & Wakefield, leading global real estate consultant’s research findings indicate that the trend of main streets ruling the retail leasing landscape in top 8 Indian cities continued. As compared to Q1’18, the retail mall construction trend continues to remain promising in Q2 ’18, with about 1.2 msf of new mall space constructed, and 13.81 msf is currently under construction. Cities across India saw noteworthy brands engaging in the retail space, trying to grab their share in this upcoming market. Mumbai’s Lower Parel continued to be the preferred choice for international brands as Moschino, Miniso, Armani Exchange and Typhoon Shelter set up shop during the quarter. In Bengaluru, Asia’s largest 65,000 sf brew-pub - The Big Brewsky, opened in the city at Hennur Road this quarter. Apart from this, Tonique, a premium liquor store, also opened up on a marquee property on Kasturba Road main street in CBD. International furniture brand Ikea is also expected to start operations in their first store in Hyderabad in Q3 2018. Chennai garnered interest of marquee apparel brands such as Lifestyle, H&M, Reliance, and Marks & Spencer. Rising demand in the Chennai and Kolkata markets has led to record low levels of vacancy and in turn has driven supply of new malls there. In Suburban west submarket of Chennai, Q2 2018 witnessed the supply of 0.90 msf in VR Mall, which caters to catchments of Annanagar, Koyambedu and Arumbakkam. 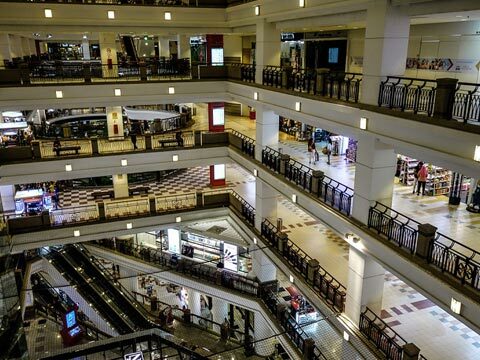 Increase in mall supply is expected to intensify transaction activity owing to a steady demand from retailers. In the upcoming quarters, Rajiv Gandhi Salai is to witness the supply of 2 malls. Rajarhat in Kolkata observed addition of new supply, with new mall supply of 300,000 sf was added to the city’s retail space after a gap of two years with completion of Downtown Mall in Rajarhat. Key Private Equity transactions worth Rs 1700 crores were completed in the retail sector in Q2 2018. CPPIB invested INR 938 cr in their platform with Phoenix mills, where they bought land from L&T in North Bengaluru, for development of 1 msf Phoenix market city mall, second in the city. Xander - APG also made a substantial investment of INR 800 cr in North Delhi Metro mall. In the near future main streets that promise high visibility and footfalls to retail brands are expected to continue to drive majority transactions with key demand coming from apparel retailers. India is a key retail market with a 1.3 billion population, 50% of which is below the age of 25, a growing middle class, high urbanization rate and a fast-growing economy. These features promise a growing retail spend power and hence a shining future for the sector. 32 malls(13.81 MSF) currently under construction in top 8 cities, expected to be operational by 2020. There is a 53% increase compared to last 2 years. New mall supply of 900,000 sf and 300,000 sf observed in Chennai and Kolkata respectively, in Q2 2018.